All boards are made of a combination of at least four food safe wood varieties including: White Oak, Red Oak, Hard Maple, American Cherry, Brazilian Cherry, American Walnut, Peruvian Walnut, Purple Heart, and Ash. 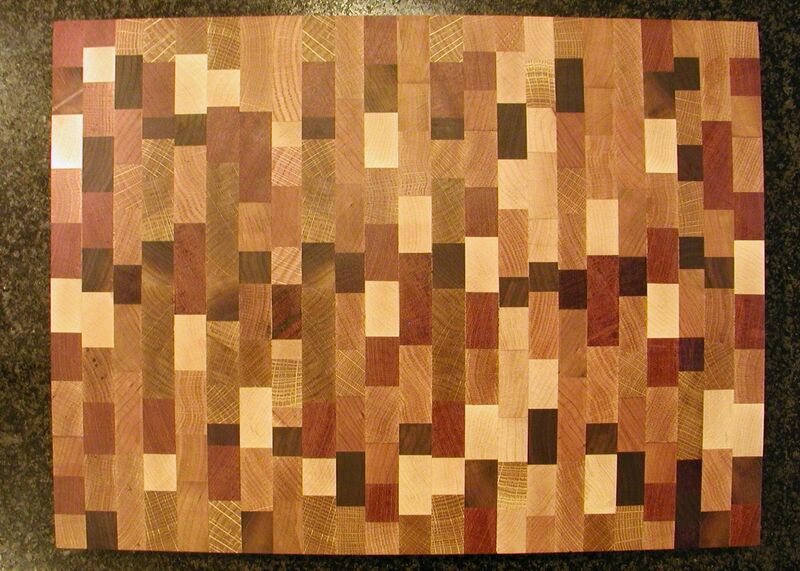 As wood dries out, apply mineral oil with a dry cloth as needed (I recommend a mineral oil manufactured for use on butcher blocks). 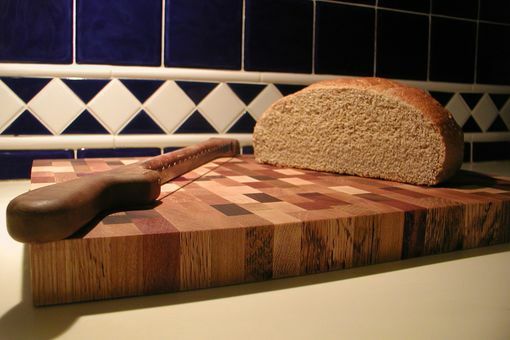 If knife marks become apparent, simply sand the board and reapply mineral oil. Wood will generally darken over time, adding warmth and depth to your board as you enjoy it through the years. Dimensions: Length: 16" Width: 12" Thickness: 1.25"